Knowledge, Creativity, Caring, Development, Dedication (KCCDD) has been a long-time customer of Burris Computer Forms®. 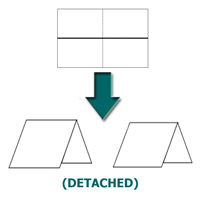 KCCDD customizes blank printable note cards with unique images. The following is about KCCDD’s clients and experience printing note cards in-house. For more than 50 years, KCCDD has been serving its’ community. KCCDD serves adults with varying degrees of developmental disabilities, as well as seniors. KCCDD is a non-profit organization, providing community training, development of social skills, and employment training. The developmental training program helps foster independence through learned skills. These skills include daily living skills and vocational skills. Clients also have the opportunity to participate in special interest classes, such as jewelry making, cooking, art, and more. The community employment service program provides assistance with job seeking and retention for clients. This program offers job readiness training, on-the-job training, and job retention support, which includes job matching and employer consultation services. The Gordon Behrents Center provides adult day services. These services help older individuals keep their normal way of life and remain independent. Services include daily exercise and community outings. KCCDD began its’ art program in 2006. This program allows client-artists to design artwork through several visual art techniques. Many local banks and businesses have art on display in their establishments that members of the community can purchase. KCCDD wanted to share its’ clients’ art with a wider audience. 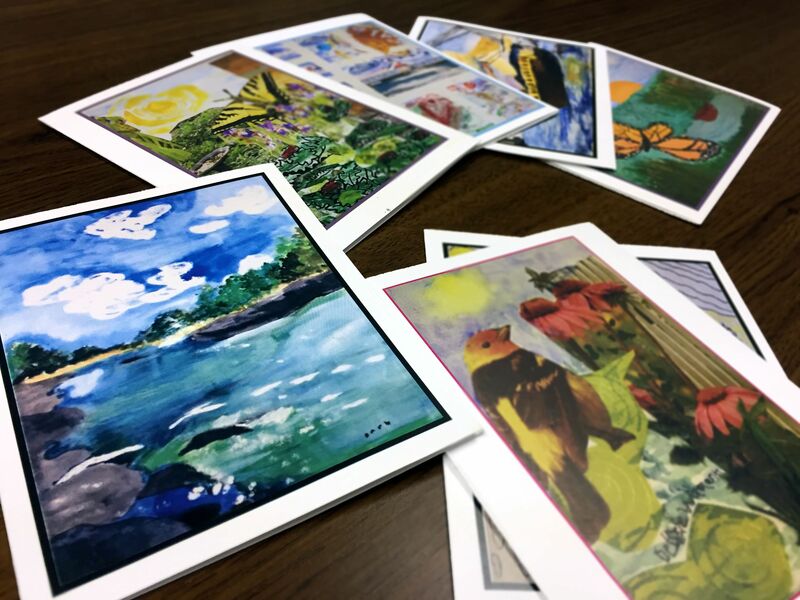 The organization began printing clients’ artwork on Burris’ blank note cards. 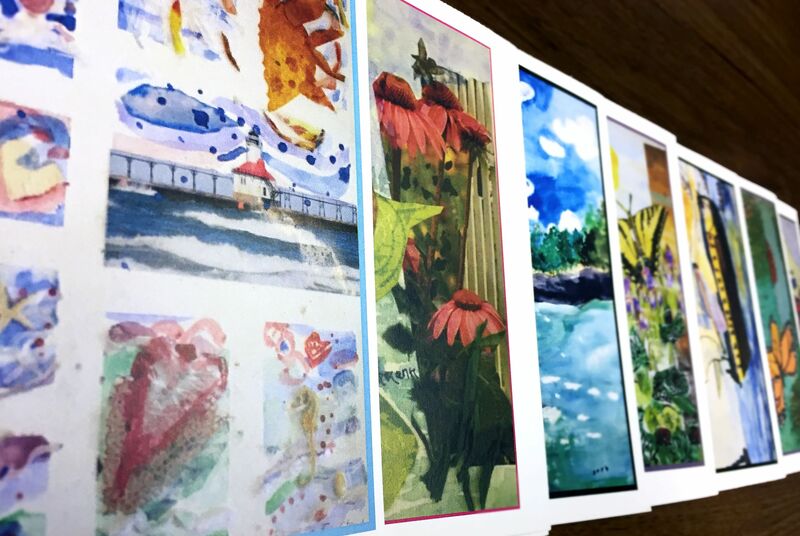 KCCDD sells printed note cards to benefit their client-artists. Customers support KCCDD through note card purchases. With each sale, they help the organization’s clients earn money and recognition. People who buy from the KCCDD note card collection find many uses. Some recent purchases include cards for Christmas and Wedding Thank You cards. KCCDD operates a manufacturing workshop, Phoenix Industries. Through the workshop, individuals have the opportunity to work contracted jobs within the community. This process helps individuals who want to advance their vocational skills. 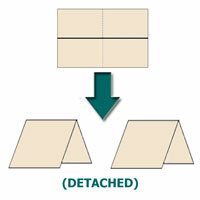 The individuals who work at Phoenix Industries organize and package KCCDD’s note cards. Through that process, they gain a set of valuable workplace skills. 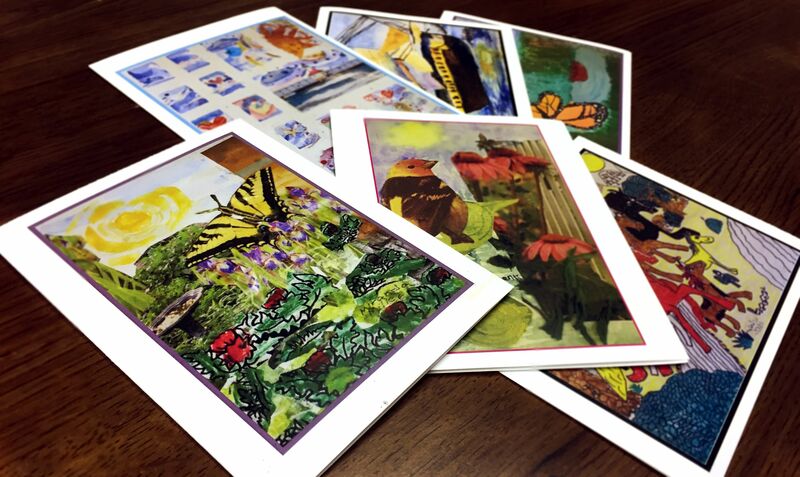 Burris’ printable products provide a way for KCCDD’s clients to express themselves through visual art. To learn more about KCCDD’s mission, visit their website. Along with white note cards, Burris also offers many colors, such as Classy Cream, Holly Green, Olde Parchment, Rudolph Red, and Tangerine. 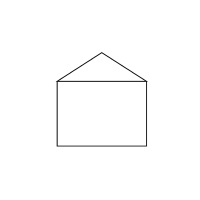 Envelopes and other printable products are available also.